This is a great website that can be used to help students who are learning Mandarin Chinese. There are several activities that will help students learn sounds, numbers, foods, drinks, and much more! This is a great resource that students can use. This is a great website for students learning Mandarin. Here are more than 500 FREE Mandarin games and activities that can be used to help improve students’ ability to speak the language. Student can listen to conversations, complete worksheets, and much more to help! An awesome website that can be used to help student read in the language! 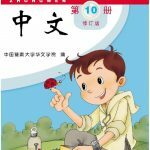 This website has several books that students read in English in the Chinese version! This provides students with the opportunity to get exposure to the language and practice reading at the same time! Seven awesome Chinese videos for kids that anyone can learn from! This site offers videos that will help students learn their colors, numbers, Chinese greetings, and much more! Digital Dialects is a great website that helps students learn phrases and greeting, build their vocabulary skills and much more! Students can complete audio lessons to hear the language and help with correct pronunciations. Learn songs, easily to recall words. Chinese Buddy’s catchy songs easily activate long-term memory and inspire spontaneous, fun Mandarin practice! 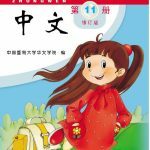 This is a great website that allows parents and students to create their own personal accounts to learn Chinese. 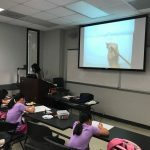 Students can read books in Chinese, and students will have to opportunity to learn at his or her own pace and parents can learn along with their child.